In today’s world, a woman’s physical bearing becomes her business card not only in her profession but also in her daily life. How she treats herself, her status, and her material resources is often reflected in the way she presents herself physically. Often a well-maintained appearance is perceived as beautiful, even though it might not fit the popular beauty standards. On the other hand, a “beautiful” but poorly maintained face may be considered unattractive. Many women are blessed with what society considers to be a physical beauty: big bright eyes, small nose, plump lips etc. “Beauty,” as Webster Encyclopedic Dictionary determines, “is an assemblage of perfections through which an object is rendered pleasing to the eye; qualities that delight the eye.” Meaning beauty delivers aesthetic pleasure. So, a well-cared face that does not fall under classic beauty standards also delivers aesthetic pleasure. A well-maintained woman attracts attention. People want to look at her and talk to her, and it is gratifying if such a woman pays attention to someone. It is impossible to have a polished look if one only occasionally puts in the work. The older woman has to dedicate more time, effort and money to maintain that good look. Nevertheless, investments return – if the reflection in the mirrors makes one happy, it is easy to be in a good mood and to enjoy life. With age, a sleek look acquires special value. It could even, to a certain point, counteract youth. An older, sophisticated woman might look more attractive and interesting compared to a young but unrefined woman. A well-cared face is a combination of good looking skin, great teeth, hair, and brows. Many clients think that it is worthwhile to get permanent makeup as a substitute for daily decorative makeup. With the help of permanent makeup, any brows can become ideal, and the face can immediately transform into a better version of itself. Permanent makeup solves many other aesthetic tasks such as correcting face features to make the face more harmonized. Permanent makeup artists know that while extending brows, eyes become more stretched and seem bigger. This technique works miracles in the case when eyes are smaller than classic standard. If just a couple milliliters are added to outer lips corners, the lip line becomes longer and lips become fuller looking. A slightly longer lip line and added volume restructure proportions of the lower face, consequently making the face seem more beautiful. Permanent makeup is especially powerful when it comes to age corrections. It can enhance lips, eyebrows, and eye colors, and uplift lowered brow tails and lip corners. These minor face changes can make a woman appear to be so much younger, that many may wonder if she has undergone plastic surgery when it was only a slight modification to her natural beauty. 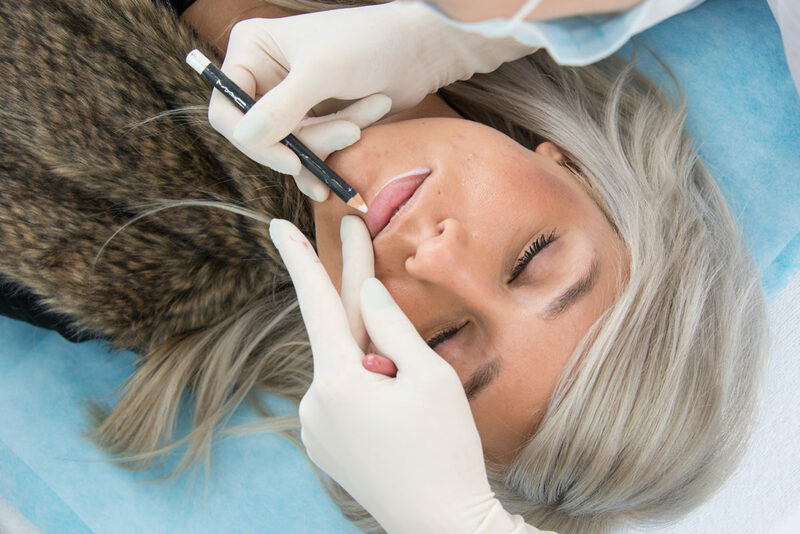 Permanent makeup has huge opportunities in transforming the face to create and maintain a desired, sleek look. However, women still have to prioritize their skin state, dental and hair care and then realize that permanent makeup is just a way to add a finished and polished touch to their look.